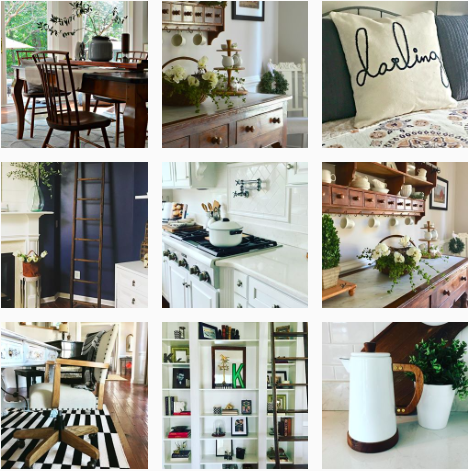 I have been busy revamping all my accessories to go with my revamped sunroom. I am so excited that we finally finished it today! I will share more on that later this week. 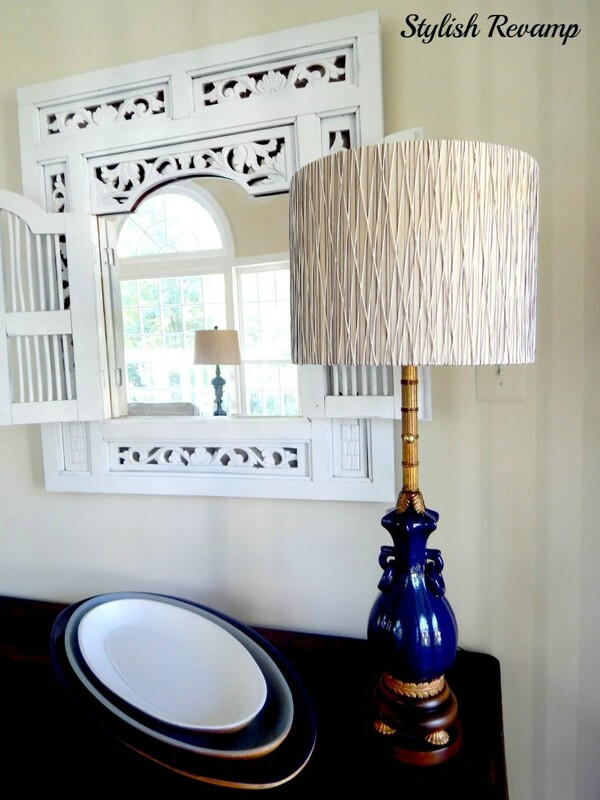 Today I am sharing my lamp revamp. The image on the far right is what I started with before I began this project. I have had this lamp for a long time, although it has been moved from room to room. It started out in our family room, then moved to the kitchen then finally, it was moved to the sunroom. Now that I reworked it I think it will remain in the sunroom. The first thing I did was spray it navy. 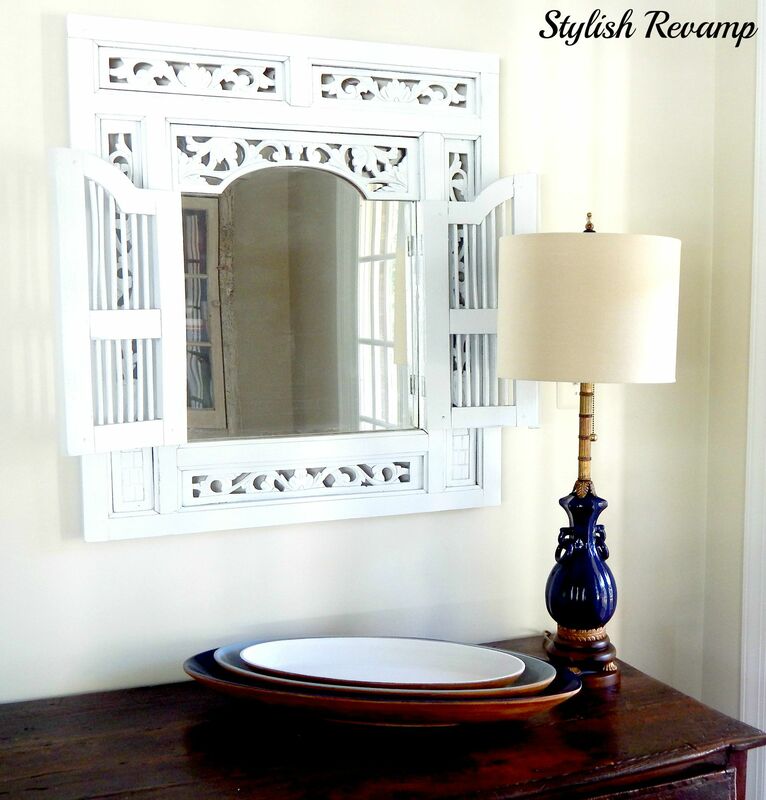 Super easy to change-up the look with a can of spray paint. I then switched out the lampshade with one that I picked up at HomeGoods. I like the lampshade but it felt a bit flat up against the beige walls. 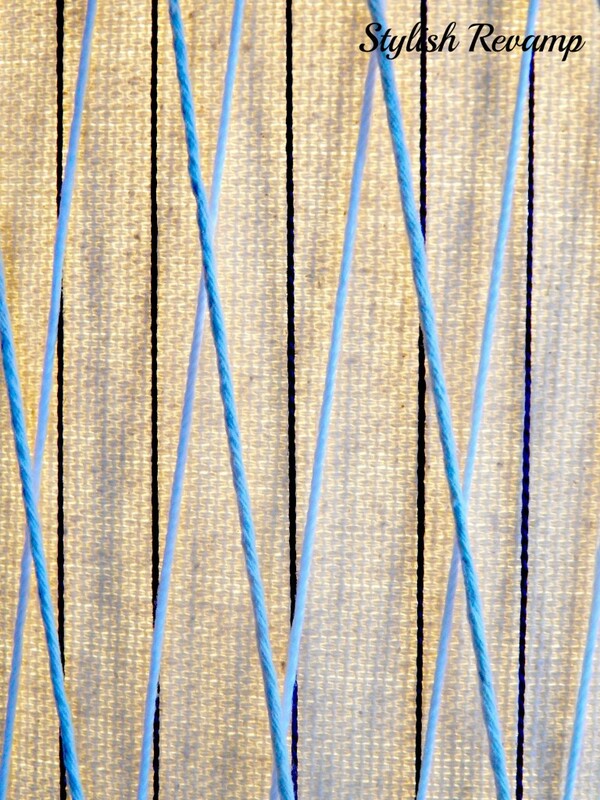 I wanted to add some texture to it and I remember a project that Sabrina Soto did on HGTV’s High Low Project awhile back. She wrapped thread around the lampshade to change it up. So that is what I did. After spraying the lamp base, my next step was wrapping the shade in my first thread choice which was a navy embroidery thread. I liked it like this and thought about stopping here but I decided to add a few more layers. 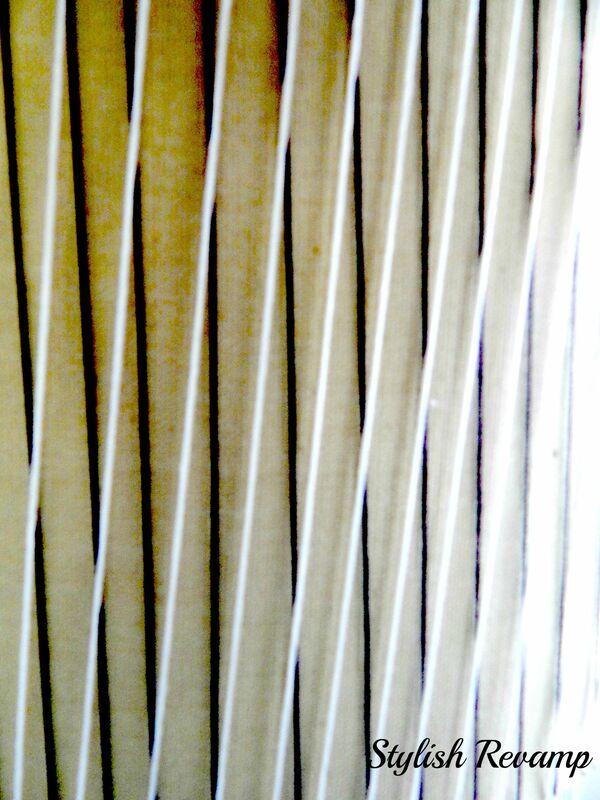 I then added white embroidery thread on a diagonal. Then followed that with a beige thread going in a diagonal in the opposite direction of the white thread. My last step was adding more navy thread vertically. I decided to stop at four different layers of thread. You could add as many as you want. I thought four was just enough to add a nice textured feel that was missing on the shade before. 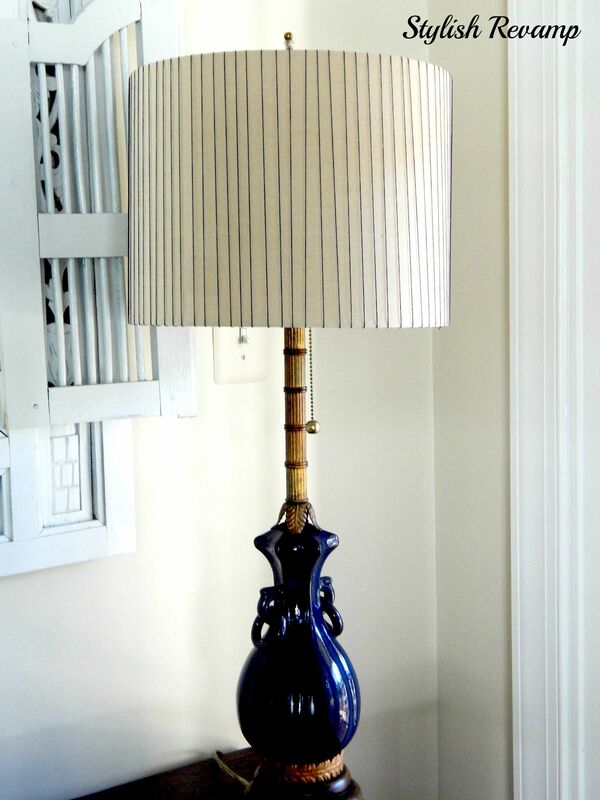 This was such an easy and inexpensive way to revamp this lamp. 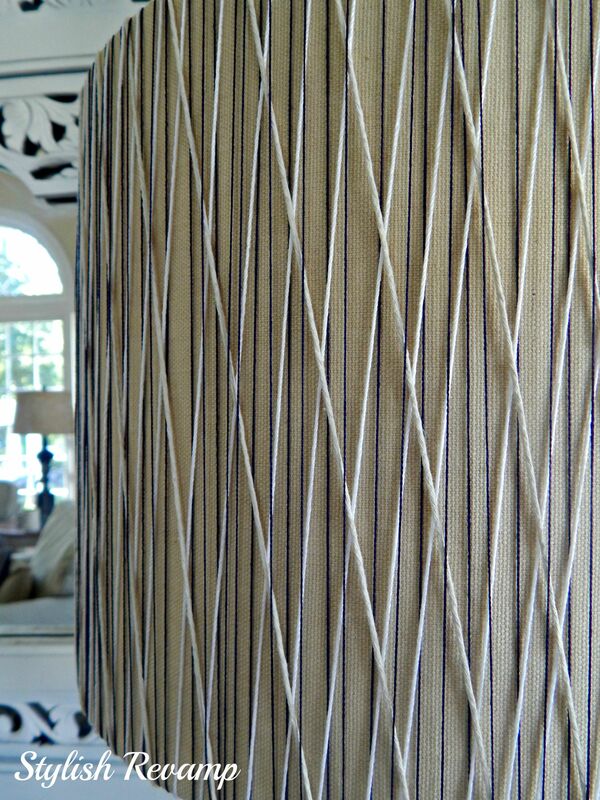 I can’t wait to show you the rest of my revamped lamps and accessories for our sunroom later this week.